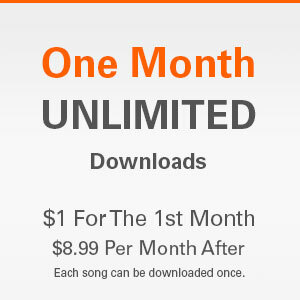 First month of unlimited downloads for $1. After that, it’s just $8.99 per month with no contract, cancel anytime. 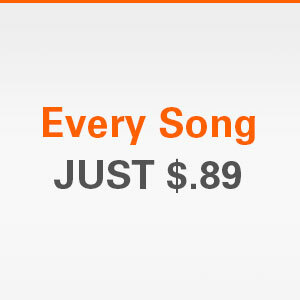 Every song just $.89 every day. Download and listen on any mp3 player, smartphone or tablet. Register for free and begin adding music to the shopping cart. When you’re ready just Pay & Download. It’s that easy. Don’t want to use your credit card? 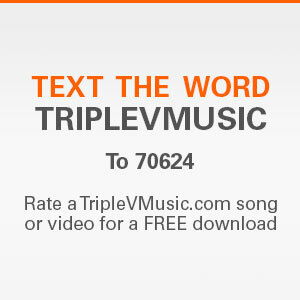 Text the word triplevmusic to 70624 then keep a lookout for our texts. We will text the link to a song/video for you to rate. After rating it we’ll text you a coupon code for a FREE download from our catalog. Texting and data rates may apply. Contact your carrier for details.